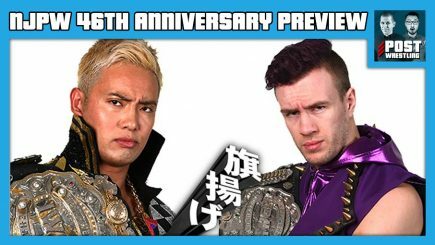 John Pollock and Wai Ting review the NJPW 46th Anniversary Show headlined by Kazuchika Okada vs. Will Ospreay in a special non-title challenge between fellow Chaos champions. 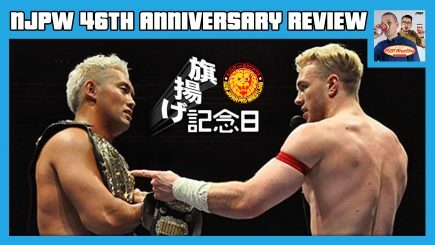 Also featuring Minoru Suzuki vs. Togi Makabe for the IWGP Intercontinental Championship, Tetsuya Naito vs. Taichi in Taichi’s heavyweight debut and more. Ronda Rousey issues a WrestleMania challenge to Stephanie McMahon, Paul Heyman responds to Roman Reigns’ accusations against Brock Lesnar, Matt Hardy challenges Bray Wyatt to The Ultimate Deletion, Braun Strowman drops a piano onto Elias, and Nia Jax’s loss to Asuka causes her to break down. 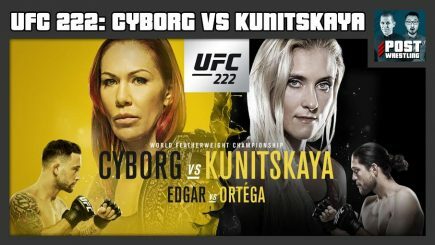 John Pollock reviews Saturday night’s UFC 222 card from the T-Mobile Arena in Las Vegas, Nevada with Cris “Cyborg” Justino defending the women’s featherweight title against Yana Kunitskaya and Frankie Edgar taking on Brian Ortega on the main card. Is NJPW too conservative with their global expansion? Are the glory days of the UFC over? How do we feel about putting our content behind a paywall? 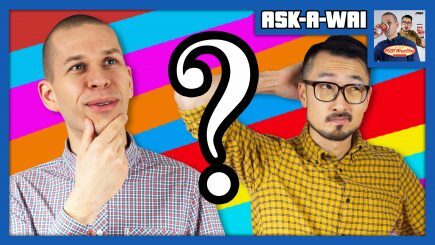 Do Wai’s parents understand what he does for a living? 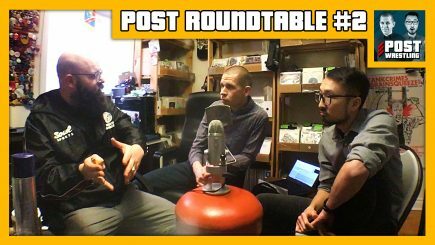 These topics discussed and more as John Pollock and Wai Ting answer any and all of their patrons’ questions from the POST Wrestling Forum. John Pollock and WH Park go through the highlights from the New Beginning in Osaka card, the reunion of The Golden Lovers and reaction at the Honor Rising shows, a preview of next week’s 46th Anniversary card for New Japan, a breakdown of the New Japan Cup brackets with opening round predictions, Golden Lovers vs. Young Bucks in Long Beach, All Japan’s recent Yokohama event and Champion Carnival lineup, the new All Japan streaming service, WH’s live reports from Stardom and Dragon Gate, and lots more on a packed show! 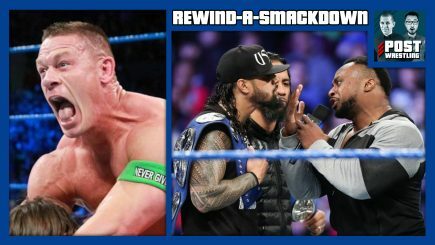 John Cena takes on AJ Styles for a spot in the main event of Fastlane, The New Day and The Uso’s engage in a heated promo exchange. Plus, Roderick Strong vs. Kalisto on 205 Live. 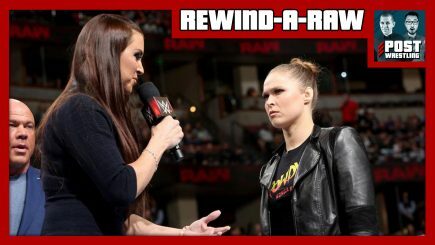 Ronda Rousey confronts Stephanie and Triple H, Roman Reigns cuts the promo of his life on an absent Brock Lesnar, John Cena announces his plans to head to SmackDown and the Sasha Banks and Bayley rivalry continues to boil. John Pollock and Wai Ting review WWE Elimination Chamber 2018 featuring the first-ever women’s Elimination Chamber, the men’s Elimination Chamber and Ronda Rousey’s official WWE contract signing. Martin, Oli Court and Benno are back to talk Over The Top Homecoming (featuring Keith Lee vs Mike Bailey and Zack Sabre Jr. vs Travis Banks), ICW Square Go (30 Man Rumble match), Benno provides a live report from the Tetsujin Shoot-Style event, Progress Chapter 63 Take Me Underground and Apollo Crews making his return to PCW. 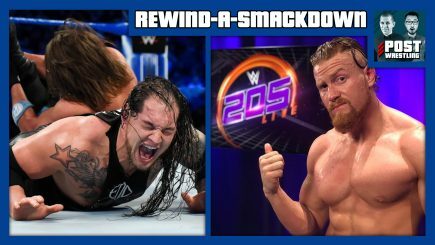 Dolph Ziggler vs Kevin Owens and AJ Styles vs Baron Corbin headline a rather dull edition of SmackDown Live, three Fastlane title matches are announced, Buddy Murphy makes his Cruiserweight debut while Mustapha Ali takes on a reformed Jack Gallagher in another Tuesday-saving edition of 205 Live. The longest match in WWE history takes place with a 7-Man Gauntlet highlighted by an hour-plus performance from Seth Rollins, Jeff Jarrett will be inducted into the WWE Hall of Fame, Asuka speaks, and a very lacklustre 6-Woman Tag Team main event closes the show. John Pollock and Wai Ting invade the home of Damian Abraham (Vice’s The Wrestlers, Fucked Up) to discuss a variety of topics in the wrestling world including streaming services, the growth of the indies, CM Punk and a preview of Vice’s The Wrestlers. John Pollock and Wai Ting dig into the WWE Network’s newly released Coliseum Home Video Classics archive to review Battle at the Royal Albert Hall. Highlighted by a 20-Man Battle Royal for the “prestigious” Royal Samovar Trophy, the show features early 90’s appearances from Shawn Michaels, Ric Flair, Roddy Piper, The Undertaker, The Legion of Doom and of course, The British Bulldog in his home country. 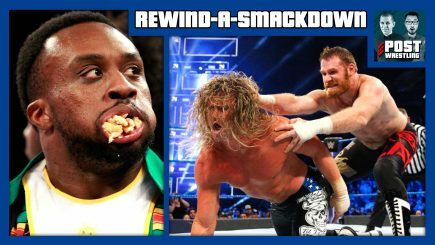 Dolph Ziggler returns and wants to main event WrestleMania, Sami Zayn and Kevin Owens attempt to protect their Fastlane odds, Charlotte continues to pick off the Riott Squad, The Bludgeon Brothers smash TVs, The New Day eat pancakes, and Jinder, Randy and Bobby argue over the Top 10. 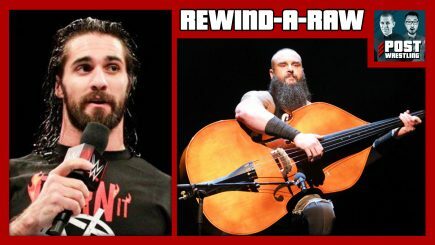 Seth Rollins and Finn Balor compete with others for a second chance to enter the Elimination Chamber match, Braun Strowman interrupts Elias with his own musical performance, Sasha vs Bayley in San Jose, Ivory inducted into the Hall of Fame and more. John Pollock is joined by Mike Bohn of MMA Junkie & USA Today to run through the UFC 221 pay-per-view event from Perth, Australia. 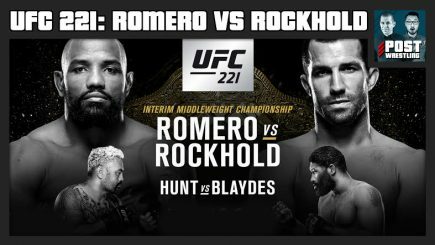 We discuss Yoel Romero’s failure to make weight and then stops Luke Rockhold in the main event, where this put both men coming out of this fight, a horrendous foul during one of the main card bouts, several solid performances throughout the card, and lots more. 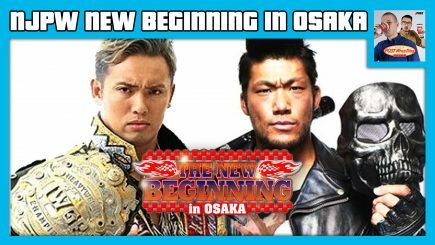 John Pollock and Wai Ting review NJPW New Beginning in Osaka 2018 headlined by Kazuchika Okada vs Sanada for the IWGP Heavyweight Championship, Hirooki Goto vs Evil for the Never Openweight Championship and Will Ospreay vs Hiromu Takahashi for the IWGP Jr. Heavyweight Championship.